This past weekend I visited my sister Susanna in Middlebury, Vermont. For those of you unfamiliar with American geography, Vermont is a tiny state in the far northeast, bordering New York, Massachusetts, New Hampshire, and Canada. Middlebury is a quaint college town in the central part of Vermont. 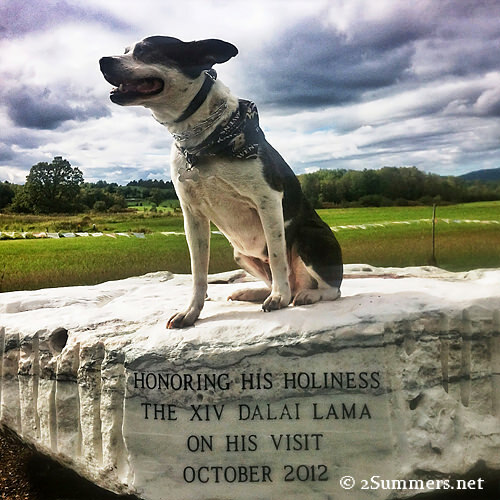 Instagram of my sister’s dog, Finley, on a stone in Middlebury honoring the Dalai Lama. His Holiness visited Middlebury during his tour of the U.S. last year. So I don’t have that many stories to tell or photos to show. But it was a great weekend. I loved spending time with my sister, who I hadn’t seen in 18 months, and hanging out with her friends. Susanna even hosted a barbecue to celebrate my visit. We named the party “Middlebury Meets Africa”. 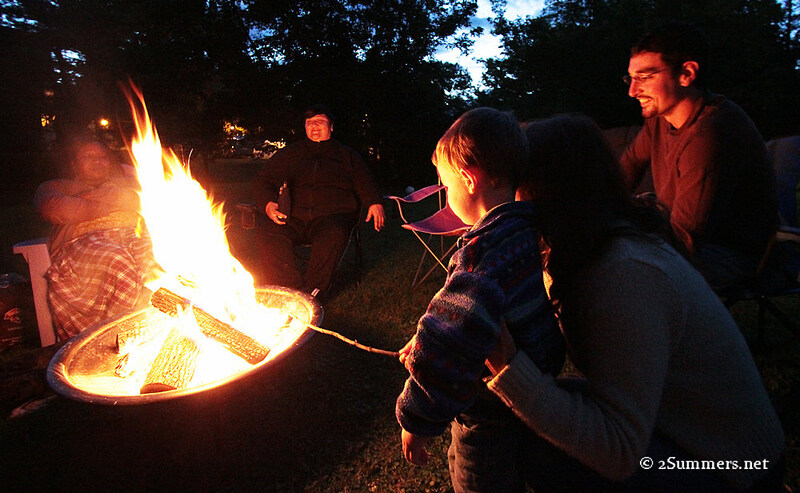 Toasting marshmallows at Middlebury Meets Africa. I wish I’d had more time in Middlebury. Three days wasn’t enough to catch up with my only sister. But this was the way it had to be. I’m determined to go back again, soon. I really need to see my family more often than once every two years. I didn’t even remember to take a photo of Susanna and me together this weekend. Here is a shot of us from 30 years ago instead. I’ll miss you, sis. Thanks for the party. xoxo. so glad you are able to reconnect with your loved ones.enjoy the times! You were such a cute kid! And photography seems to run in the family! Thanks Sebastian! Yes, my dad is a retired news photographer/editor. Haha, I’m glad you liked it. My oldest son and his family live in Hartland, just south of White River Junction, and the other son and his family life in Northfield. Not far as the crow flies, but on the other side of the state, which is to say, on the other side of the mountains! Too bad, I know they would’ve loved to meet you. Where next? Hey Eugenia, I’m in Maryland now visiting my dad. Ten back to Washington again, then to Florida to visit my mom. Busy! Sounds like a wonderful weekend. I love getting to see my sister. 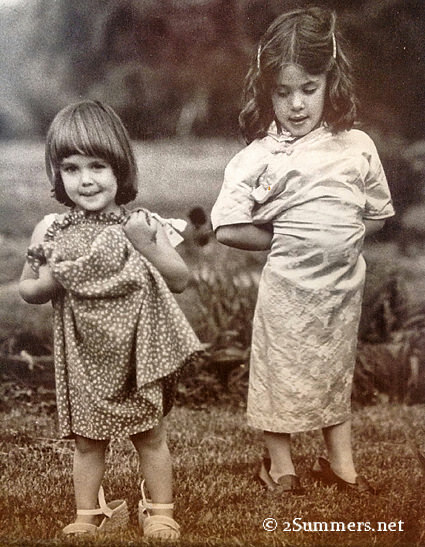 And the photo of you two as kids was PRECIOUS! Does it get any more darling than that?! You two are a couple of cuties, even as grown women! It was really nice meeting you, Heather. 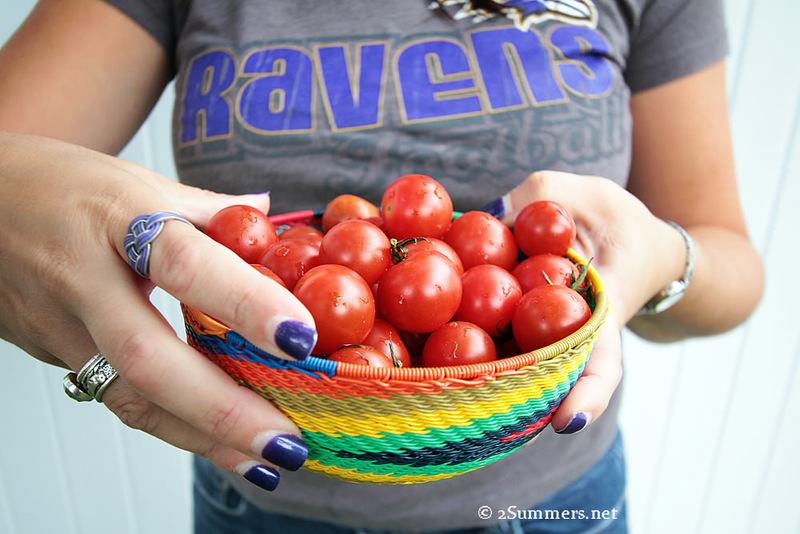 I’ve had a chance to check out your blog and I enjoyed the writing and the photography. Safe travels. Thanks Tanya, it was great meeting you too! Here to see you again sometime soon. Love Vermont. This was my first experience of the US, back in 2001. I worked at the Woodstock Inn & Resort for the winter (our summer). That’s cool, Jaco. Vermont is not usually first on the list of U.S. destinations. Especially in winter!